Fog is great for mood settings, but London (that’s the capital of Great Britain, if you didn’t know) has a special history with the stuff. Most of it due to smog, a deadly combination of coal-burning and temperature shifts. At first glance, smog looks lovely and dreamy. But it was helping to kill anyone inhaling it. Christine L. Corton is a freelance writer and took a keen interest in this rather fascinating subject – her work hit shelves in 2015. Smog is a byproduct of human excess and, whilst now not as obvious as over 60 years ago, our polluting ways are still wreaking havoc. This work, then, is great fun to read, but also stands as a warning from history about why we need to buck up our ideas. Fog, or smog as it should be known really, was a prominent feature of London from the 1840s up until the 1960s. Toxic smoke from citizens burning their coal fires, plus the ever-growing coal burning of industrial factories, essentially smothered the region. Public understanding of the health concerns was minimal and many saw the issue as a part of life. But in 1886 there were over 10,000 fatalities due to smog. The issue was so full on French Impressionist painters got in on the act to document the smog issue. 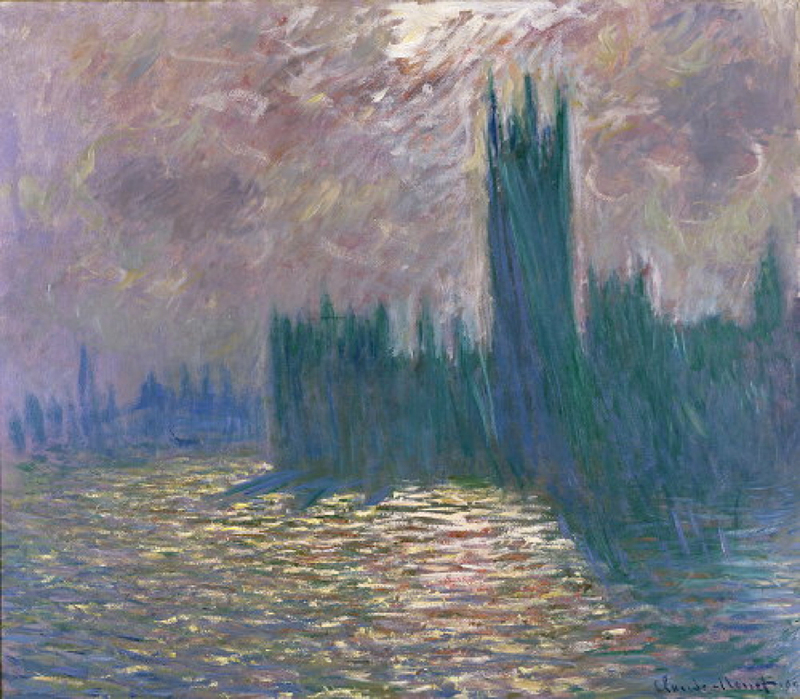 Claude Monet (1840-1926) was the most prolific of the lot – you can take a look at the 1905 House of Parliament painting right now. As you can read in this Guardian piece (Monet’s obsession with London fog), he grew quite ecstatic by the way the sun and fog mingled. Entering a type of rapture, his obsession even led him to claim London would lose its beauty if there were no fog. Monet wasn’t alone – Charles Dickens saw some sort of moral order in the fog. Some of his stories concerned the working classes. The writer shows a great deal of sympathy for their plight in a number of his works. By the time the 1950s came about, the beauty of fog was giving way to some serious health issues. Post-WWII England was in the grips of rationing and rebuilding a nation after years of Nazi bombing. Now Londoners had something else to worry about other than a far right maniac from Germany. Along with human suffering, animals were left in distress – their fur clogging with muck, which also ruined their lungs. Such suffering was, and try to contain your amazement here, prolonged due to political cowardice, indifference, and an attempt to keep profitable coal mining big business moguls happy (i.e. rich). Eventually, new legislations were brought in to control the smog problem. They were just massively delayed. Exactly like the modern English government’s chronic delays to pass anti-plastic laws, mandatory recycling, and cutbacks on road car usage. The latter is a particularly burning point in modern life, with citizens seeing cars as a right rather than a luxury. But Britain’s clogged roads display an unsustainable system that needs immediate fixing. As such, London Fog – The Biography displays that, despite a change of the times, the lack of government action is disastrous. Whilst it’s easy for us now to look at the past and scoff at the obnoxious stupidity of what was happening, the reality is we’re far worse. Smog is less prevalent, but in its place is a colossally excessive reliance on fossil fuels. And, once again, big business moguls aim to control their fortunes with misinformation and propaganda. There is no climate change. Fake news. But now the whole planet crumbles, rather than just quaint old London. Monet is money to some other people’s soul, eh?! But his work is rather fabulous. So long as fog isn’t obscuring the view. That’s 29 words. But I’ll let you off.